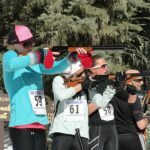 As part of Pagosa Springs’ Winterfest, PNC will offer a 16km (9 am)/ 6km (10 am) / KidK (11 am) biathlon with Red Ryder BB guns. 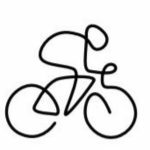 As the DUST2 fate bike race hosted by Pagosa Mountain Sports and scheduled for Sunday has been cancelled, Pagosa Mountain Sports has added a bike demo event for Saturday! 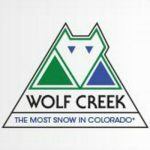 About: Wolf Creek Ski Resort hosts Appreciation Days throughout the ski season with discounted lift tickets. 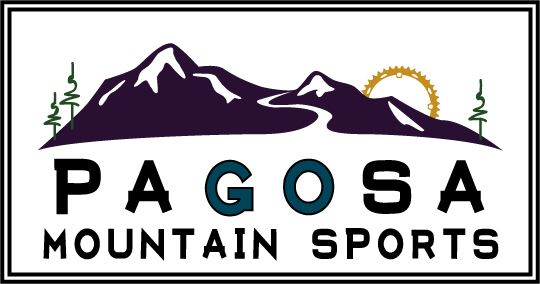 Receive 10% off at Pagosa Mountain Sports all day! This event has been cancelled due to lack of snow at event location. BUT check out the alternate bike activity now scheduled for Winterfest Saturday instead! 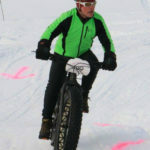 A fun fat tire bike race on groomed snow trails. Great fun for all ages! The races begin at 9 am sharp. Registration and check in 8:15-8:45 am. Please arrive early enough to sign-in, gear up and warm up. 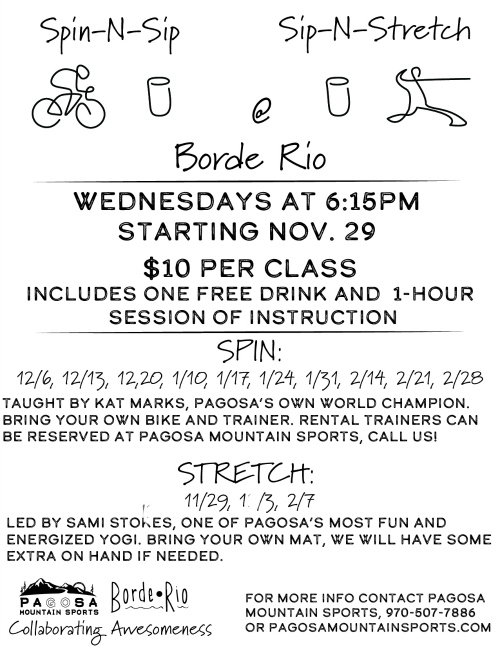 Rent Fat Bikes for the race from Pagosa Mountain Sports. Call to reserve – they go fast! Call 970.507.7886 for more information. These introductory clinics will be held once a month – weather depending and subject to location changes. This event has been CANCELLED due to low snowpack at the event location. 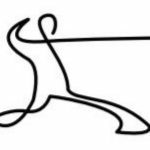 XC and skate ski races, fat bike races, snowshoe races, gear demo times, food, music, FUN! 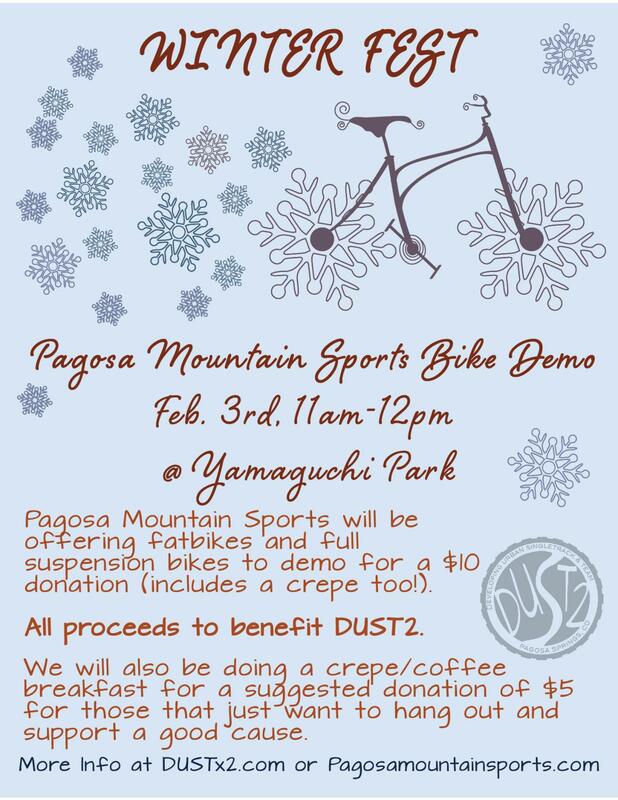 Rent fat bikes, snowshoes and xc skis from the Pagosa Mountain Sports booth at the event. 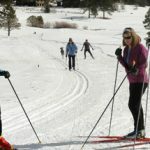 Call (970-507-7886) to reserve equipment early for the races – it goes fast!